LONDON/KARACHI: Former Pakistan cricketer ‘Boom Boom’ Shahid Khan Afridi has done it again, this time with comments about Kashmir which sparked yet another controversy on both Pakistani and Indian media. “The world has turned Kashmir into an issue. 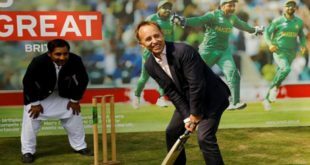 Kashmir is not an issue,” the 38-year-old cricketer said, while addressing students at the British parliament on Wednesday. “I say…Pakistan does not want Kashmir. Don’t give it to India either. Let Kashmir become its own country. At least humanity should stay alive. The people who are dying, at least that [bloodshed] should not happen,” Shahid Afridi was heard saying in the video. “Pakistan is unable to take care of these four provinces. Do not give it to India either. Pakistan does not want Kashmir either. Humanity is a big thing. The people who are dying there, it hurts us. Any death, whichever religion they belong to, is painful,” he said. But, despite his apparent good intentions, Afridi’s comments appeared to have done more harm than good. Minutes after a video of his speech appeared on social media, his comments made headlines on Indian media outlets. Pakistani TV channels followed soon, criticizing Afridi for making careless comments regarding an issue that was close to every Pakistani’s heart. 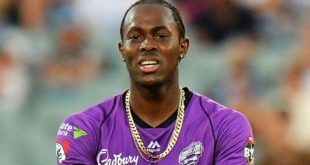 The firebrand cricketer soon issued a statement on social media, clarifying his “passionate” remarks and accusing Indian media of misinterpreting his comments and presenting them “out of context. “My comments are being misconstrued by Indian media! I’m passionate about my country and greatly value the struggles of Kashmiris. Humanity must prevail and they should get their rights,” Afridi said in a tweet. “My clip is incomplete & out of context as what I said before that is missing. Kashmir is unresolved dispute & under brutal Indian occupation. It must be resolved as per UN resolution. Myself along with every Pakistani support Kashmiri freedom struggle. Kashmir belongs to Pakistan,” he added. This is not the first time that Afridi’s comments about Kashmir stirred a controversy. 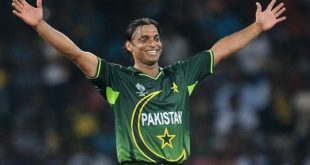 In April, the former Pakistani cricketer had tweeted condemnation of the a clampdown by Indian forces on civilians in occupied Kashmir. 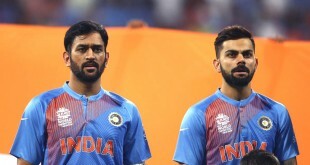 Afridi’s comments did not go down well with several across the border, including Indian cricketers Virat Kohli, Gautam Gambhir and Suresh Raina among others. The Indian media had also adopted a harsh stance against and alleged Afridi of being an agent of Pakistan’s intelligence agency.